Forest Informatics Division, Forest Research Institute, Dehradun organized a one day training programme on “Google Earth Engine” on 24 February 2018. 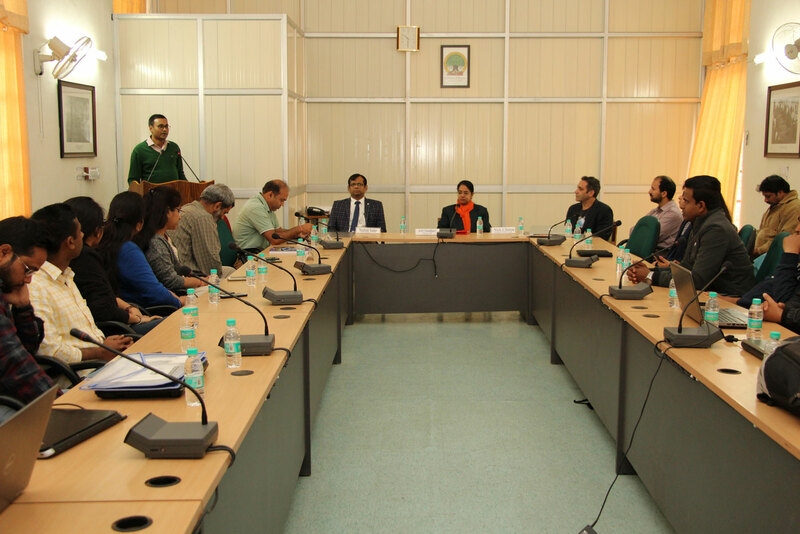 The training was inaugurated at Conference Hall of FRI main building and was inaugurated in presence of Head, Forest Informatics Division, FRI Dehradun, Sh. Neelesh Yadav, Scientist-D of IT cell, Sh. Manoj Kumar, Scientist-B of Geomatics centre and other participants. The training was conducted in collaboration with Google Inc. Mr. Nicholas Clinton from Google was the main trainer for the day. In this training program, student and research scholar of Forest Research Institute, Forest Survey of India, IIT Roorkee, State forest department, Uttarakhand, Uttarakhand Peyjal Nigam was involved. The main objective of this training was to enhance the advanced knowledge of Google Earth Engine. In the end, the certificate was distributed to all the participants.